The St. Louis Blues will play the Dallas Stars on Friday to open the second round of the Stanley Cup playoffs. 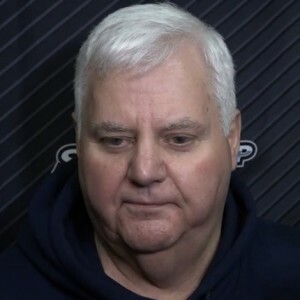 The players were set to hit the ice on Wednesday, but the feedback coach Ken Hitchcock received told him the players needed one more day off to recover. There don’t appear to be any many injuries, but bumps, bruises and I’m sure an emotional drain took its toll on the team. Instead the team held a planning and strategy meeting. Hitch expects the players to have a great practice on Thursday and then ramp up the intensity for the series opener. St. Louis got great work from its “STL Line” of Schwartz, Tarasenko and Jori Lehtera against the Blackhawks in the first round. The line combined for 17 points in seven games, with Schwartz leading all scorers with seven points (three goals, four assists). Lehtera scored in the 3-2, Game 7 victory. “We’re a lot quicker than people think we are,” said Hitchcock. Alex Pietrangelo was the Blues’ best defenseman. He finished with six points (one goal, five assists), and helped shutdown Hawks captain Jonathan Toews. Brian Elliott had a 2.40 goals-against average, .929 save percentage and stopped 236 of 254 shots against the Blackhawks. “We have two number one goalies. Elliott played great down the stretch and Allen was injured,” Hitchcock said. Hitchcock coached the Dallas Stars to a Stanley Cup in 1999, beating the Buffalo Sabres, who was coach by Lindy Ruff, who now coaches the Stars.